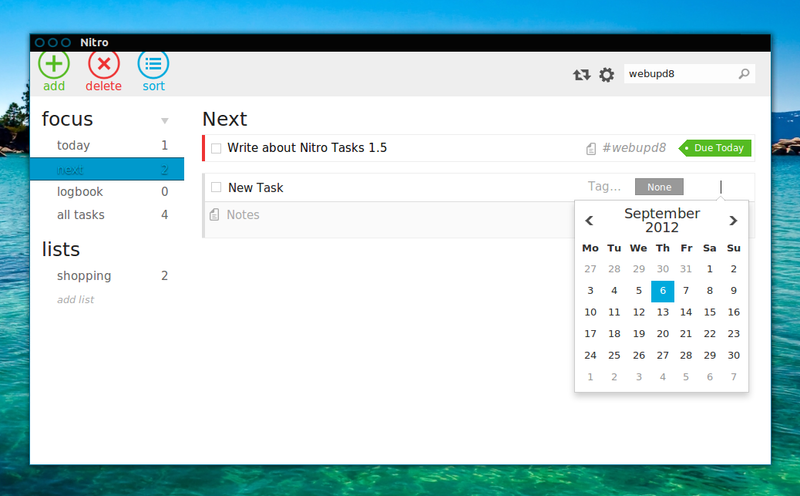 Nitro Tasks is a featureful to-do list application that helps you keep your tasks organized by letting you easily create lists, add tags, set due dates for your tasks, add notes, set priority and more. 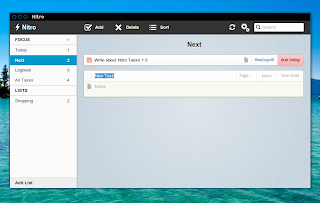 The application was updated to version 1.5 yesterday, bringing a web version so you can access Nitro Tasks from any computer / device. You can access the web version here: http://app.nitrotasks.com/. The web app doesn't yet support themes and obviously, there's no Unity support, but the rest of Nitro Tasks features are there. There's also a new Mac application that's pending approval in the Mac store. Nitro Tasks 1.5 also brings 2 new themes: Metro and "Right to Left", MacBook Pro Retina support as long as a tiny but cool feature: when syncing Nitro with Dropbox or Ubuntu one, a todo.txt file will be created in the Nitro app folder so you can easily view your tasks from say a mobile device, or using an application that supports todo.txt. 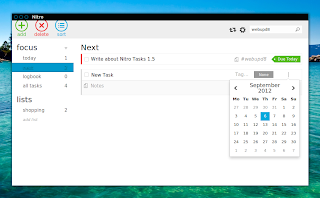 Applications for Android, iOS and Windows Mobile are planned for Nitro Tasks 2.0. Other minor new features include: an option to set the calendar start date and restoring the last used list. Update: there are no packages for newer Ubuntu versions (like 14.04 or 14.10) however, the old version still works - download the Nitro Tasks deb from HERE. 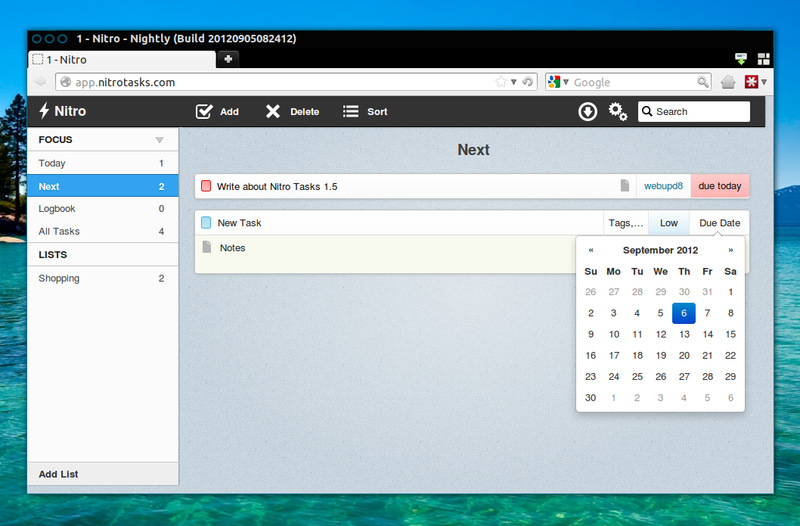 Arch Linux users can get Nitro Tasks via AUR. 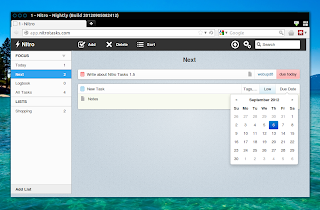 For other Linux distributions, you can download the Nitro Tasks source via GitHub or use the web or Chrome versions.